Summary: Co-written by Malcom X's daughter, this riveting and revealing novel follows the formative years of the man whose words and actions shook the word. Malcolm Little's parents have always told him that he can achieve anything, but from what he can tell, that's a pack of lies---after all, his father's been murdered, his mother's been taken away, and his dream sof becoming a lawyer have gotten him laughed out of school. There's no point in trying, he figures, and lured by the nightlife of Boston and New York, he escapes into a world of fancy suits, jazz, girls, and reefer. But Malcolm's efforts to leave the past behind lead him into increasingly dangerous territory. Deep down, he knows that the freedom he's found is only an illusion---and that he can't run forever. 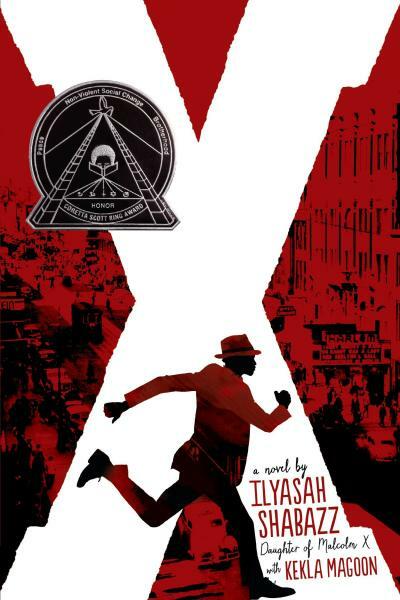 X follows Malcolm from his childhood to his imprisonmentfro theft at age twenty, when he found the faith that would lead him to forge a new path and command a voice that still resonates today.